The Telmex Amiga Sampler and the Micro R&D Pyramid Sampler appear to be exactly the same device. It's an 8 bit parallel port audio sampler for the Amiga. 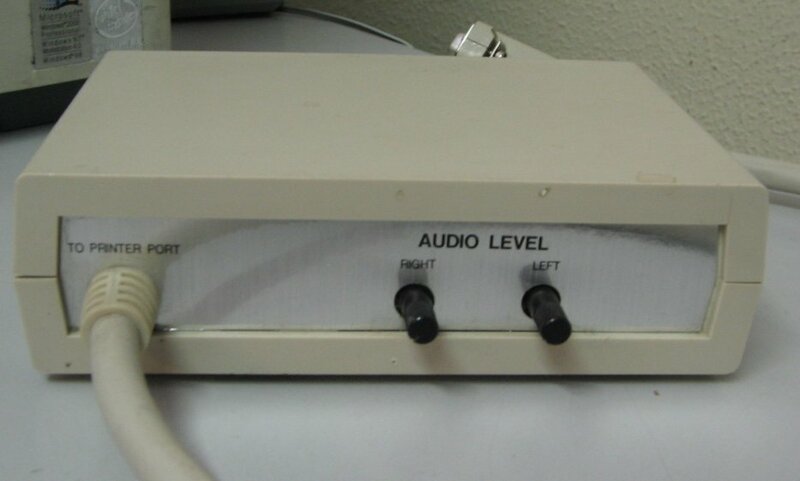 On the back of the device the are two knobs for adjusting the levels of the left and right audio channels and a cable which connects to the parallel port of the Amiga. 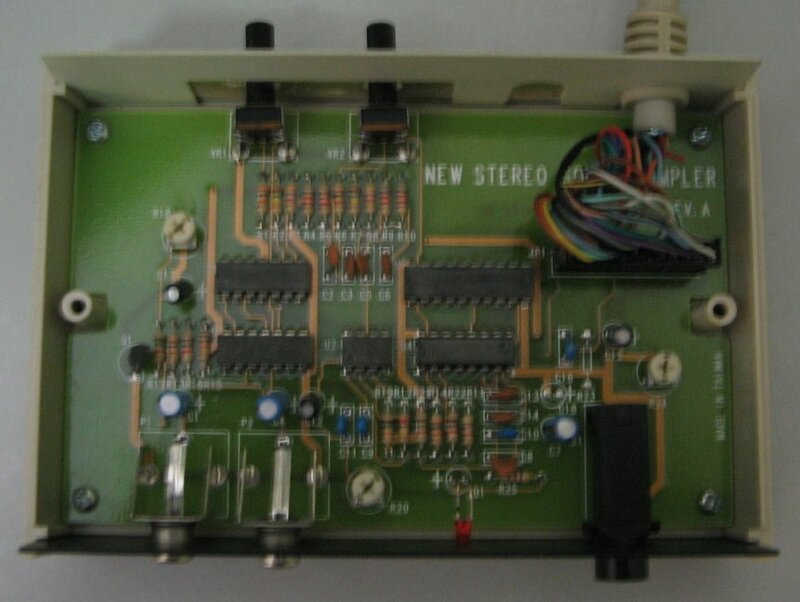 It has three audio jacks which are Audio Left, Audio Right and Microphone. The unit also has a red power LED. Page contributors: Francisco J. Martes.